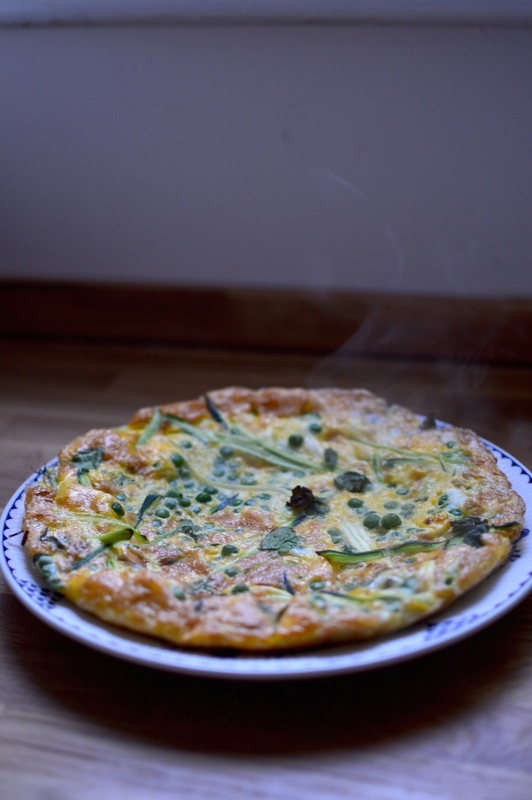 Have you made a frittata before? Anything with eggs in it already has me on board, but frittatas are SO quick and easy and tasty hot or cold, so they're a staple in my weekly rotation. First, turn on the grill. Crack the eggs into a jug or bowl and whisk with a fork until the whites and yolks have combined. Season with salt and pepper. Heat up a non-stick saucepan with a tablespoon of olive oil (or other cooking fat) and pour in the eggs. Gently sprinkle the vegetables over the top and cook for a few minutes. Pop under the grill for a further five minutes, or until the top starts to puff up, and then you're ready to serve. If you don't have a grill, you can continue to cook it on the hob with a cover on the pan, or alternatively put it in the oven. 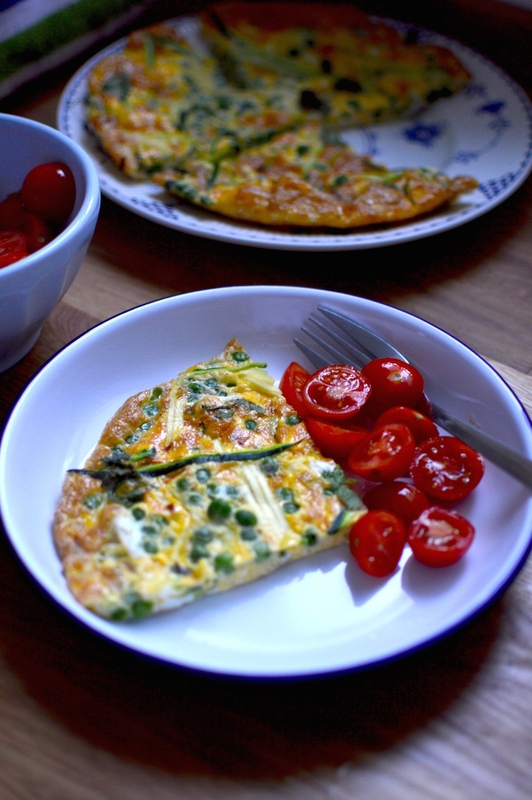 I actually prefer the frittata cool - it's a really good make-ahead recipe for brunch, picnics or packed lunch, and it always looks pretty. Once cooled, you can store in a tupperware for a few days in the fridge.